COURSE DESCRIPTION: If you’re just starting to follow your dream of writing a romance novel, you may have no idea where to begin. Or maybe you’ve written a romance novel, but it keeps getting rejected, and you don’t really know why. That’s where this class comes in. For the next four weeks, we’ll cover the sub-genres of romance, outlining, the basics of plot, intimacy issues, power openings, read-on prompts, and dialogue. By the end of this course, you’ll have the outline for your novel written as well as the opening line and a good idea where to go from there. If you’re trying to fix a novel that’s already been written, you’ll know how to fix what’s broken. I appreciated the class [Jumping into Romance} and received so much more from it than the two community classes I had taken. Are you new to writing and the publishing/promoting world looks too large to handle? Are you a seasoned writer but lack the necessary skills and ideas necessary for a powerful promotion of your work? Look no further than the promotional ideas and suggestions given by Ms. Carrington. Writing the story is only the first step to sales and a loyal fan following. As Ms. Carrington has said in her Power Promotion Workshops, “I would encourage you all to start writing for each other’s newsletters as well as other authors you know. I was just asked to write some tips for authors in another author’s newsletter. That’s how you get your name out there. Make yourself stand out from the crowd. Be creative. Get together with a group of authors and shoot around some marketing/promoting ideas.” In addition to these suggestions are many more that empower the writer through knowledge of the promotional game and how it’s played. For the author who sells primarily online, or even marginally, the helpful suggestions in Ms. Carrington’s workshops are a must! Thanks to your promotional workshop, I embraced the Scavenger Hunt Idea and participated in a Holiday Hunt with several authors. This proved very beneficial. In less than four weeks I had over one hundred hits to my website and increased my sales. I'm very glad I attended your workshop. The class was enlightening, humorous, and filled with common sense. Directions where to go for further information was nice. It’s easy to put off the work of writing for the fun. You made me realize the need for work. Thanks! Romance offers a wide arena of subgenres. There is literally something for everyone. Every reader of romance has their favorite subgenre that pulls them in time and again. It’s difficult to convince them to read paranormal romance if they prefer romantic comedy. As a writer, you will need to decide where your muse is directing you. In this lesson, you’ll be given an overview of the subgenres and learn how to choose your subgenre, how to find your voice, and what other directions one subgenre could take you. Assignment: This week, students will prepare a brief description of their current novel that clearly identifies their subgenre. The entries will be critiqued and returned to the students with suggested revisions. This week is all about outlining your novel. Just as every building needs plans before it’s built, every novel needs a roadmap. The outline will help you design your novel from the ground up. We’ll take a basic formula and enhance it to work with any subgenre of romance. You’ll learn techniques and tips to keep your book flowing smoothly, and, as a bonus, we’ll discuss character outlines as well so you can keep track of your hero’s eye color, your heroine’s favorite perfume, and other things your readers will notice. Assignment: This week, students will, using the basic formula, prepare a 1-2 page outline of their novel along with a brief outline of the character of their choice. The entries will be critiqued and returned to the students with suggested revisions for improvement. Whether you’re writing a sweet romance or a steamy one, you’ll have to decide how much intimacy you’re going to reveal and how. Will your characters only share kisses, leaving the rest firmly behind closed doors? Or is the sky the limit? Either way, to stay in your comfort zone, you’ll need a plan along with a clear understanding of what fits in the category you’re writing. Assignment: This week, students will prepare a one page essay about their chosen intimacy level, their target market, and how they know that choice is in their comfort zone. You could have the best story idea on the planet, but if you start it with a boring sentence, the reader might not get past that one line. Hooking a reader can be difficult; keeping them even harder. This week, you’ll learn how to showcase your scenes with the right amount of pop to keep readers turning the pages. Assignment: This week, students will provide the first scene of their story. The scene will need to start with a hook and end with a read-on prompt. In addition, students will provide a dialogue scene between at least two characters. Both the opening scene and the dialogue scene must be a least three paragraphs in length each and will be critiqued. Suggested revisions will be returned. Materials needed: An Internet connection and email capability. No books are necessary to purchase, but students will be provided with a list of books that may benefit them in the future. 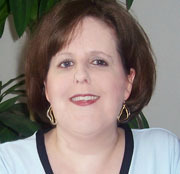 ABOUT THE INSTRUCTOR: Dawn Rachel Carrington has been the editor-in-chief of Vinspire Publishing, a publisher of family friendly books, for eleven years. A published author of over fifty titles, she has also been a civil litigation paralegal for twenty-eight years. Rachel began her career writing fantasy romances of powerful wizards and wicked witches. Since then, she has branched out into contemporary romance, paranormal romance (hello, vampires and ghosts) and romantic suspense and has had books published with Ellora’s Cave, Samhain Publishing, Red Sage Publishing, and more. She mainly writes in those genres now, but has branched out into zombie romance and young adult. She also recently began writing inspirational romance. Currently, a freelance editor/writer residing in historical Charleston, South Carolina, Rachel has written non-fiction articles for Absolute Write, The Writer’s Journal, Writing for Dollars, Writer’s Magazine, Writer’s Weekly, Funds for Writers, and more. Because she likes staying busy, Rachel has also taught classes for Suite 101 and for author groups regarding promoting, writing, starting your own business, and editing. When she’s not writing, she loves to read paranormal romance, romantic suspense, and young adult, create videos, shop, put together jigsaw puzzles, cross-stitch, talk on the phone, listen to music, hang out with her roommate—Temperance—her cat, and spend as much time as possible in beautiful downtown Charleston. Visit her website at www.rachelcarrington.com. COST: $150 SALE! $75 ($75 OFF), which includes weekly assignments and individual feedback from the instructor. BUY NOW: Jumping Into Romance: The Least You Need to Know Before Writing Your Romance Novel, by Rachel Carrington (4 weeks, starting 4/29/2019) Limit: 7 students. Early registration is recommended.